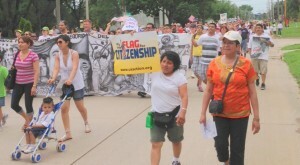 ICAN and a statewide coalition of organizations had over 400 people marching for Immigration Reform on S aturday. The event consisted of a pre-rally in the Latino business corridor in downtown Des Moines, then a march through downtown Des Moines to Our Lady of Guadalupe Chapel, and a closing rally. 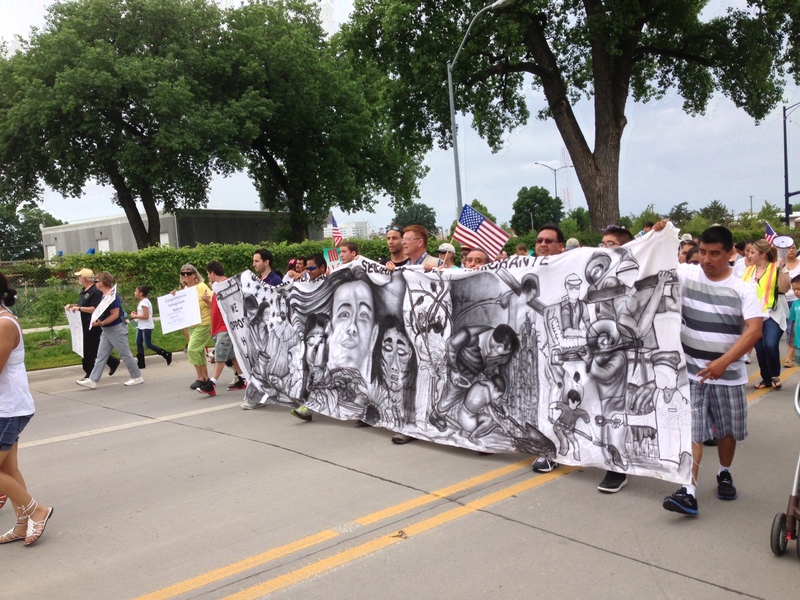 The Latino and immigrant community, along with supporters, marched on Saturday to let legislators know that they are in Des Moines, and they want an easier path to citizenship. Chanting “Yes, we can!” and “Put people first!’ in both English and Spanish, they marched to r aise awareness of this important issue.